The first time I was profiled by the campus police, I was a grad student and adjunct writing teacher. I was passing through a building when an officer stopped me and asked for my identification. The second time it happened, I was on campus to check my box and this time had a faculty ID to show the officer. Both times, I was dressed in jeans and a button-down shirt. I probably was wearing my trademark cowboy boots. With my full, neatly trimmed beard, I could not have been mistaken for a young undergrad or a bum off the street. Both times, I was courteous and complied. I respect the police, and being profiled was nothing new to me. I experienced it often when I lived as a migrant farmworker and later as a professional in the South. I know all about sideways glances and unwarranted confrontations. I should have been prepared for it at American University. But I wasn’t. Attending and teaching at a school named American once held special significance for me. Sure, it’s just a name, but it seemed symbolic, an indication that I had finally been fully integrated into American society after so many years of living on the margins of it. I wanted to believe that things would be different at a progressive, private university in our nation’s capital. But the academy is particularly good at convincing minorities that they’re not American enough. Profiling is not the domain of only the campus police; those in the academy regard me with suspicion, too. I’m a Latino who doesn’t identify as just left or just right, who doesn’t value academic pedigree, and who doesn’t celebrate modest accomplishments by those who were born on third base. Once a colleague suggested that I might be “more comfortable” teaching at a different type of school that serves a different type of student body. I had not indicated that I was uncomfortable teaching the well-prepared, eager and bright students at American. In fact, I’m completely comfortable doing so. But this faculty member presumed that I was uncomfortable, and her presumption made me more than uncomfortable. Her intentions aside, she made me feel unwelcome and at risk. She made me think that my presence made her and others uncomfortable. Recently, American made headlines after someone on or near campus used the mobile app Yik Yak to make racist comments. The school swiftly denounced the incident, saying it went against the institution’s “core values of respect for human dignity and appreciation for diverse cultures and viewpoints.” I want to believe that that is true, but my experiences—particularly my interactions with faculty members—indicate otherwise. I can take steps to reduce the likelihood of being profiled by campus police. While my colleagues can come to work in jeans and sit outside on the grassy mall with their students on nice days, I make sure to wear a suit and tie and hold class indoors. Yet there is little I can do to reduce the likelihood of being profiled and othered by my own colleagues, who undoubtedly count themselves among the most vocal proponents of inclusion and diversity. At the end of each semester, I tell my students about my childhood and the poverty I survived. They’re universally surprised. They never imagined the man who harps on the importance of planting naysayers in their argumentative writing was once planting crops. I will keep telling my students my story until the day comes when they’re not at all surprised. That day won’t come, though, until those in the academy admit their mistakes and stop profiling people who look and think like I do. 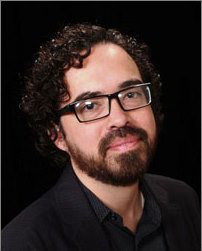 Michael A. Moreno teaches writing at American University.